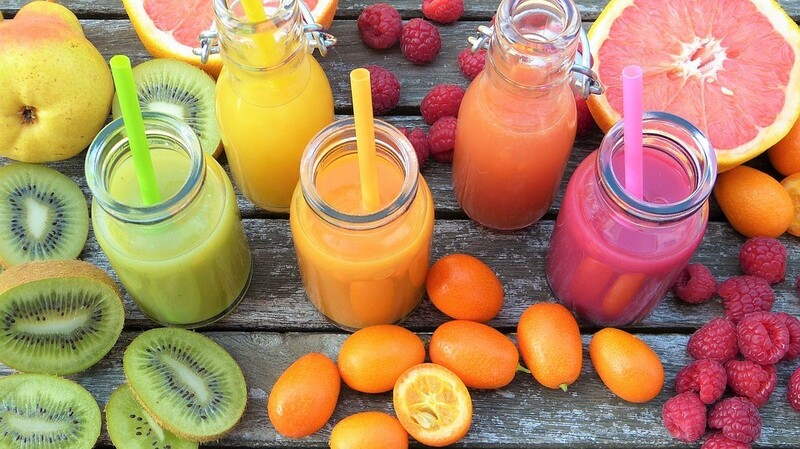 Smoothies are not only yummy, but they can be beneficial for your health as well when made with the right ingredients. From fruit smoothies to green smoothies, there are many ways to make smoothies healthy and nutritious. Here are just a few tips to ensure that you get the healthiest smoothies possible. Healthy smoothies don’t have to be mundane and boring. In fact, one of the main reasons people love them so much is that they are so versatile and offer the chance to play around with different ingredients. From switching around fruits to trying out different spices, you can have a differently flavored smoothie each week for months! When you use ingredients that are not fresh, you run the risk of contaminating your smoothie and lowering its nutritional value. Fresh, organic ingredients will keep your smoothie clean and healthy, giving you all of its health benefits. In place of milk, juice, and water, you can try using healthy, herbal tea. Herbal teas are packed with fat burning flavonoids and disease fighting antioxidants that boost your immune system, keeping your body healthy and clean. If you are not comfortable with the strong flavors of some of the teas, you can try a basic tea such as green tea. Adding sugar to your smoothie will only add to the calorific value of your smoothie and taint your immune system. Processed sugar is likely to contain toxins and lead to many health issues. Reach instead for honey or maple syrup for natural, organic sweetness that is good for your body. From avocado to coconut oil and flaxseeds, keep the fat content in your smoothie as organic as possible and avoid fatty ingredients that contain high amounts of cholesterol. This includes full cream milk and cream. An ingredient that is great for thinning the smoothie that won’t clog up your arteries are ice cubes. Use Bananas and Greek yogurt to thicken. Spices such as cinnamon and nutmeg are rich in antioxidants and can fight off diseases. If you are looking to enhance the nutritional value of your smoothie, some of these spices are sweet enough to replace sugar and other sweet but unhealthy foods. Vanilla extract can also be added. It is preferable to use a Vanilla Pod rather than Essence, if possible. A healthy gut is key to promoting overall good health in your body. When your digestive system is not functioning properly, there is a chance that it could trigger several other health issues. Leafy vegetables such as spinach, contain dietary fiber that aids digestion and keeps your gut healthy. When you keep these tips in mind while making your smoothies, you are likely to get cleaner, more beneficial and nutritious smoothies, ultimately.